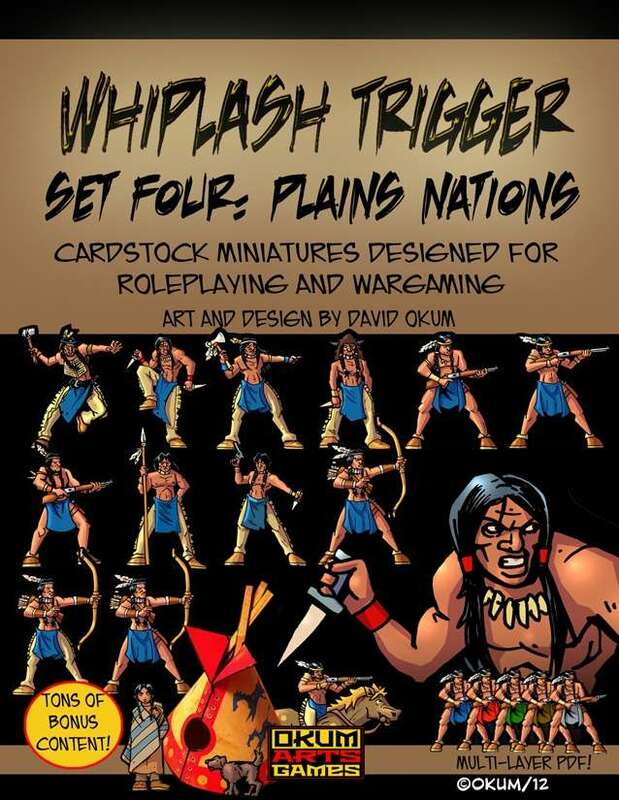 Whiplash Trigger Set Four: Plains Nations gives you twelve original 30mm Western themed miniature figures perfect for roleplaying games or wargames. All files are 300dpi and include front and back views. This set presents a collection of plains natives from the wild west era. Reinact the Battle of Little Big Horn or play your favourite western RPG. This set is designed to create a wide range of figures for gaming. Don't forget about the bonus file for an additional fifteen figures and the village set that lets you customize a settlement. This title was added to our catalog on November 22, 2012.